In his debut article for The Football Front, Jordon Florit considers why Man United’s result at Chelsea proves the Red Devils will fight Man City to the death for the Premier League title. You wouldn’t have put money on it: or maybe, if you’re my cousin, you would have placed a £2.00 bet, with odds of 50/1, on a 3-3 draw. The final score was hardly ideal for either side: however, Manchester United haven’t cracked Chelsea at Stamford Bridge for the past ten years and when Chelsea went three goals to the good with forty minutes left to play, to take a solitary point seemed unthinkable. Yet it still happened. It was the first time in Chelsea’s Premier League history that they’d let a three goal lead slip, exactly a year to the day after Arsenal had let a four goal lead slip to this season’s surprise package Newcastle United. Yet, in an unexpected sort of way, the result wasn’t as surprising as one may’ve though. This season, Premier League fixtures between last season’s top four have reaped an average of 5.25 goals per game. There are three factors which are at play to ensure that Manchester United will push Manchester City all the way in the fight for the title. Ultimately, what Rio Ferdinand described as a “Man Utd never say die attitude”, is what was needed to compete in a hotly contested duel in which The Red Devils eventually came out as the dominant side in a game which had no winner. Dominating possession and converting their chances was the gilded difference between a Manchester United side that looked dead as the third goal was headed in by David Luiz, and a Chelsea side that, on paper, looked weak as they were missing Didier Drogba, Frank Lampard, John Terry and Ashley Cole for the first time in 4 years. For Sir Alex Ferguson, it was a game that “epitomises what English football’s about,” and it went psychologically proved that, despite failing to win, Manchester United will fight City all the way for the Premier League title. At three goals down, with debatably two own goals scored – although the second was accredited to David Luiz. 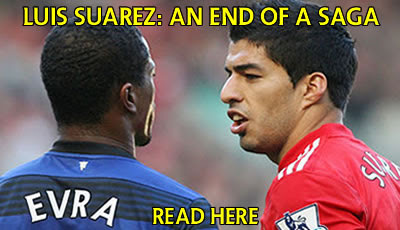 And with Chelsea’s fans providing another unwanted sub-story to the game, with a chorus of boos akin to the treatment Patrice Evra received at Anfield, United’s season was near the potential point of no return. If, like the form book would’ve led one to believe, and Chelsea had gone on to win the game, it would’ve been Manchester United’s third loss to a top seven side, in all competitions, in 2012 alone. Furthermore, with Manchester City convincingly beating Fulham 3-0 yesterday, the gap between the top two would’ve remained at three points. 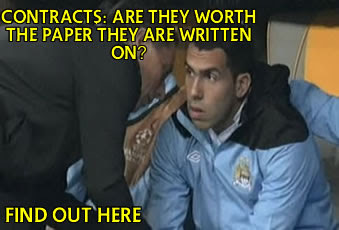 Some even were expecting Chelsea to repeat Man City’s 6-1 humiliation of Man United. “When you make a mistake at United, it is highlighted and can be exaggerated a little bit.” Those are the words of Sir Alex Ferguson on the criticism received by his Spanish goalkeeper David de Gea prior to the game and at three down. The hate brigade was well and truly in full swing. However, in palming shots away and punching balls out of the box, despite the scoreline, the Spanish ‘keeper was proving his critics wrong. Although the game was tainted by the continuous drone of boos for Rio Ferdinand, something Andre Villas-Boas seemed to palm off as a “normal situation in the Premier League,” which would confirm Ollie Holt’s views of a “resurgence of racist attitudes in the English game,” it did prove there is still life in one old dog in particular. Thirty-eight year old Ryan Giggs was at the heart of everything creative for Manchester United, producing six goal-scoring opportunities for the visiting side. In fact, he created more chances than any other player on the pitch with Mata and Malouda coming closest with four each. Paul Scholes, 37, came on with the deficit still at two and with the two most experienced players on the pitch making up half of United’s midfield four; a comeback was mounted. The value of experience, which was absent in the Chelsea side with the aforementioned four all missing. But for Man United the experience of Ryan Giggs, Michael Carrick and Paul Scholes their experience continued to shine through. Carrick, 30, pulled the strings in midfield, coming in as United’s top passer with 76 passes, 23 more than Chelsea’s highest passer Raul Meireles, and Rio Ferdinand, 33, was the most accurate distributor on the pitch with an 89% pass completion rate. With experience bossing the midfield, ably assisted by the unfazed Rio Ferdinand, it was left to the youth upfront to convert Manchester United’s chances. With a 69% success rate of shots to shots on target and a 33% goal ratio from shots on target, both better than Chelsea’s return, Danny Welbeck, Wayne Rooney and Javier Hernandez ensured Manchester United could fight back from a steep deficit to earn a point. 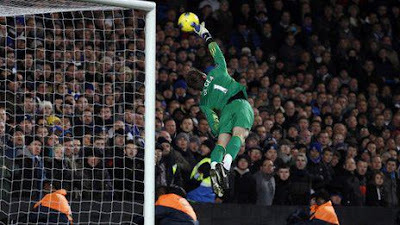 The former earned the penalty that saw Rooney score and the lattermost completed the comeback, having seen Rooney score the second. It was typical of Hernandez to score the equaliser. 10 of his 21 Premier League goals have come in the last ten minutes and 11 of them coming from within the six-yard box. Chelsea have now drawn their last three games, leaving them sitting in 4th. Had Chelsea won all their last three games, they’d currently be level with Tottenham. A Premier League title now looks out of the question for Andre Villas-Boas’s Chelsea. 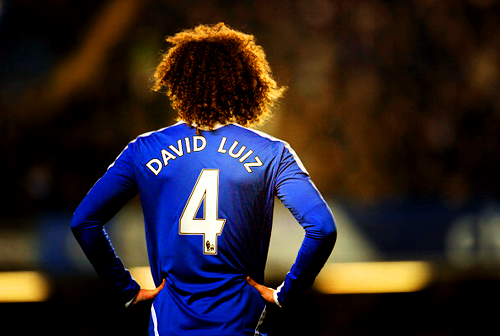 However, one positive from a game which will definitely go down as two points lost, was David Luiz. Today’s performance saw him win 100% of his aerial battles and 87.5% of his ground battles, whilst winning every challenge he made. Although he was debatably at fault for Manchester United’s equaliser, he’s becoming more disciplined as the season progresses and AVB can only hope for a stronger defensive display from next season’s Chelsea than the one he has witnessed this season. Cahill will go some way to ensuring that.